Are You Feeling Stuck in Your Career and Life Path? 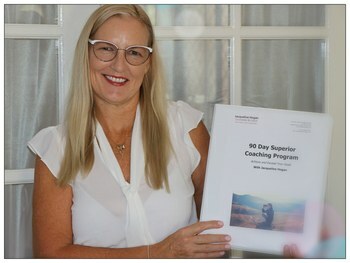 The Superior Coaching Program is delivering fantastic results for my clients! 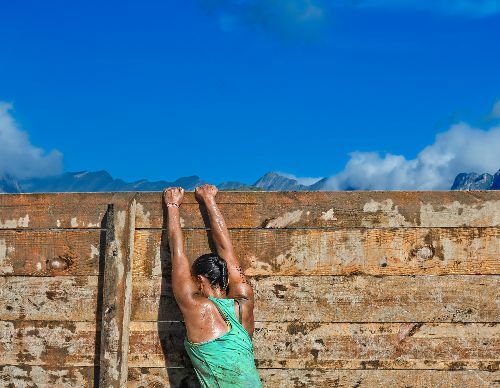 It’s common to feel stuck and tied down in your career or life at times. This can make you feel helpless, flat, tired and with no where to turn. Don’t let success pass you by because of fear, uncertainty, low self-worth, low confidence, or difficult circumstances. Clients usually experience their first ‘Ah-Ha’ moment in their first or second session with me. It’s amazing to see their face light up as new pathways to becoming unstuck are clear. Working with Jacqui and using the templates provided in the program you will unpack your issues and get clarity on what you desire. Finally welcome happiness and fulfillment in your life. Leave procrastination, doubt, fear and limiting beliefs behind as you open a new chapter in your life. Form new habits over 90 days and build consistent results with a weekly contact schedule. Watch as you transform into a confident new you. Make yourself the priority and get the support and motivation to achieve crucial ground breaking steps toward your goals. Work with Jacqui and use the resources in the program to establish a powerful platform to define your new career goals and pathway to the success you desire. This could be a new higher paying job, a career change or perhaps your feeling stuck, unworthy, bored and unsure of your next move. Skills inventory – You’re smarter and more capable than you think! Define your values and beliefs – and how you will live by them. Unlock the secrets to YOUR Motivation, Confidence and Self Worth. Create a knockout resume and online profile that plays to your strengths. Disrupt old unhelpful beliefs negative thinking patterns and get a new positive mindset for success. Visualisation and Goal Planning to get what you want faster. Mindfulness and Meditation for ultimate clarity and to reduce stress, fear, worry and anxiety. Being a confident, loving partner, parent, friend and colleague. Growing and nurturing your pathway for future success. To learn more about the program and how it can help you, call Jacqui today to arrange your discovery session. Or Get Started Right Now With a Simple Yet Powerful Visualisation Exercise. Imagine you are very old and you’re sitting relaxing in your rocking chair on the front porch of your home. You are reflecting on your life and thinking about all you have achieved and experienced in life. What would you like to look back on? What are the highlights that you would enjoy reliving? Who have you spent your precious time with? What was satisfying in body and soul? How did you fulfil your life purpose? How did you use your unique gifts? These questions help you to tune in and become mindful of what really matters to you. They also help you to make yourself a priority and live in the present. To live in line with your beliefs and values. What are they telling you?… How do they align to your core values? Ready to uncover and explore new possibilities? Call Jacqui today for a free short chat and to book your discovery session!